Limitless Potential Abounds with Automation. How Can We Best Harness It? - Infosys Consulting - One hub. Many perspectives. Limitless Potential Abounds with Automation. How Can We Best Harness It? In my ongoing meetings with CXOs at some of America’s largest organizations, the same basic questions continue to arise. How can we pragmatically harness the potential of everything that today’s new world of automation presents? I will try to answer this in the following post. I look forward to your thoughts! like with every break-through technology wave, there is huge euphoria around the concept of “intelligent automation,” or the smart use of technologies like RPA, AI, machine learning and blockchain. There are countless stories of how robotic automation will yield $$ millions in savings. Pundits speak of how AI will help establish a truly digital value chain that will usher in new frontiers of competitive advantage for the early movers. And finally, then there are these wonderful stories of how a farmer is now able to use AI capabilities to help remove the manual effort in sorting the cucumbers on his farm! Whether it’s larger scale enterprise change, or micro transformation impacting one farm yield, the imagination is drawn in. And despite all of these great stories of potential, the challenge most CXOs face today is that they see a lot of hope but no significant ROI numbers to speak about; they see pilots but little opportunity at scale; they see the promise but no real way to realize it. Define Your Strategy: Treat this as an opportunity to transform and not as a “band-aid” to automate existing processes. Appropriate use of intelligent automation can help you to rethink business processes, streamline operations and launch new business models. On the other hand, a tactical approach will become a liability for the future, especially when it’s time to really scale. Deliver Value in Agile Cycles: It is important that any roadmap ensures that value can be delivered in agile cycles – or short, impactful bursts. Gone are the days when teams had the luxury to spend months strategizing and years realizing. Any successful roadmap must ensure there are agile cycles coupled with a clear plan to scale. A good intelligent automation roadmap is all about test, learn, refine and scale. Take a Holistic View of Technology: Robotic automation and AI are very exciting pieces of technology. But if poorly executed, it quickly becomes a painful legacy of the future. Hence, it is important that the solution architecture needs to be planned in the context of the existing technology environment. Establish the Right Governance: The concept itself seems very stifling, or even the antidote to innovation! However, there needs to be a governance established around certain basic aspects of technology, process and structures. The established governance should ultimately help accelerate lean decision-making, thus laying out a pathway to value realization. Enable and Support the Teams: Like it or not, the word automation has come to imply workforce reduction. At a minimum, it stands for adopting new ways of working. It is extremely critical to understand the underlying employee concerns and define a proactive approach to face it head-on, in a transparent and engaging way. This could involve training and reskilling teams, and identifying avenues for redeployment of reskilled workers. Shying away from the organizational impacts is only a recipe for disaster. Don’t Forget the Culture: An initiative of intelligent automation might fail without due attention to culture. Most large organizations have been built around a culture where failure of any kind is a taboo; where compliance to process trumps outcomes; where it is better to play it safe than try something new. New technologies like these take time to stabilize. Success is never an instant formula. In such an environment, one needs to have a supportive organization. Culture change takes some time, but this aspect needs to be well strategized and planned for. In summary, my advice is to take a holistic view of any automation transformation program. Focus on value and ROI at every stage (in short delivery cycles), and never ever minimize the people and cultural impacts and changes that will be required to drive success. 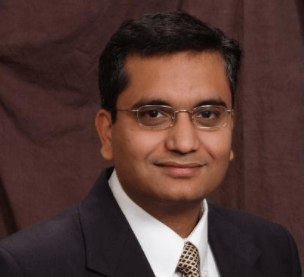 Kishor is a managing partner at Infosys Consulting, based out of our Plano, Texas hub. He focuses on driving operational effectiveness in organizations through digital transformation and automation. He is an industry expert in design thinking and innovation and has spoken at a number of client and industry conferences on the subject. He has also published several articles in leading journals. Resonate with your perspective. In an increasingly digital era where organisations need to reorganize it’s functions to deliver a delightful customer experience, big data and AI have a big role to play. I’m a marketing leader with one of the leading media and entertainment companies in India, making a career transition to marketing transformation. Speaking to industry thought leaders to understand better the scope and kind of work happening in this domain. Would love to connect when you can. Kishor – I think you have summed up well but most of the executives, transformation experts are looking towards automation purely from gaining internal efficiency , cost savings and simplifying my business process. I want to throw out another thought. Being early adopter is very good but for how long can you continue to generate efficiency until world gets caught up and efficiency benchmarks change ? My question would be – how can automation help me create barriers of entry for business I am operating in ? Has AI technology matured enough to help me create something whose benefits I will be able to reap for years to come ?